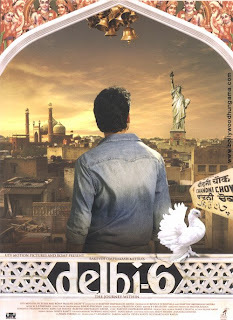 Delhi-6 is a forthcoming Bollywood film to be directed by Rakeysh Omprakash Mehra that will star Abhishek Bachchan , Sonam Kapoor, Om Puri, Atul Kulkarni, and Divya Dutta. The movie is reportedly based on Mehra's growing up years in Chandni Chowk area of Old Delhi. The film will be Mehra's third directorial venture after critically acclaimed Aks and the immensely successful Rang De Basanti, which was India's official entry to the Oscars.